Hi! How is life in 2014 treating you so far? It feels like a stressful working life these 2 months, and I am more exhausted than before. I sleep for only 4-5 hours a day, and now my shoulder and backbone start to ache. It makes me feel soooo old all in a sudden! I know that joint and bone diseases can hit one as early as at the age of 35. Although I'm still far from there, I always remind myself to take good care of my joint and bone health because of some hereditary symptoms that run in the family. I thought my family members have been healthy all the while without no sickness or diseases. Until few months back, when my Mom complained about her shoulder pain while gardening. Watering the plants was just a small errand, but she had difficulties cleaning and carrying the vase. Well, it is true that aches and pains are part and parcel of aging. Since Mom is approaching her 60s, you may think this is normal. But as days went by, her condition aggravated with as she experienced difficulties in getting up in the morning! That was such a shocking news to know recently that half of my relatives and family members have knee pain problem. I noticed that Dad had been walking up the stairs really slowly, then he told me his pain would be at its worst especially when walking for long distance or climbing the stairs. Looking at Dad and Mom, they reminded me of my grandpa who had the similar condition. It happened once when we were at the park, and my grandpa was constantly looking for places to rest because of his hip pain. No wonder he loves to bring a stool along everytime we have our evening walk at the garden! Well, the detection is better late than never! 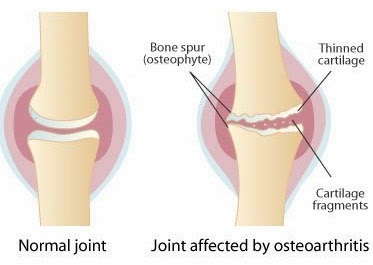 According to my research online, osteoarthritis is a chronic condition characterized by the breakdown of the joint cartilage that cushions the ends of the bones and allows easy movement of joints. But no worries, there are plenty of health supplements that caters specially for this disease at the pharmacy. The pharmacist explained that the stiffness and pain around the knees and shoulders are NOT due to muscle overwork. Joint and bone pain can attack people at middle ages, because the joint cartilages have worn out due to the lack of nutrients. When the joint cartilage wears out, it causes pain, inflammation and swelling. Well, it may not be a sharp pain, but it irritates alot as the pain comes and goes. I understand why Dad stopped playing his favourite sports while Mum was burdened by heavy load of house chores. 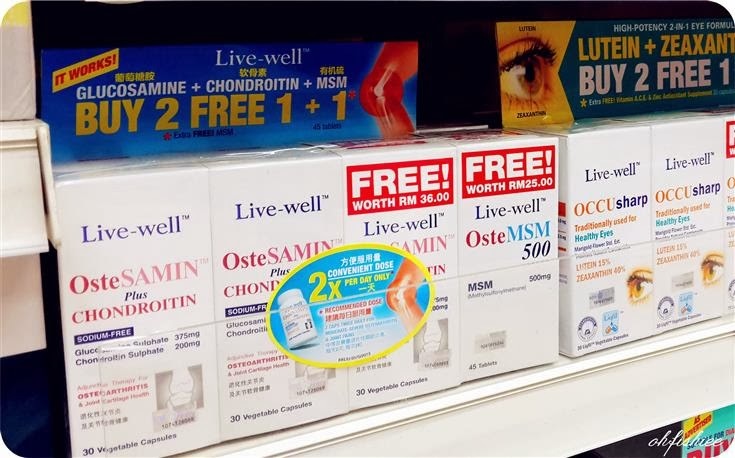 Similar to what suggested in the online forums, the pharmacist recommended the 2-in-1 formulated Live-well OsteSAMIN™ Plus Chondroitin that contains the synergistic joint health nutrients, Glucosamine and Chondroitin Sulphate for aging adults. As we age, these components begin to deplete and become insufficient for our body. This in turn restricts the efficiency of cartilage rebuilding and can delay repair of cartilage and other connective tissues. 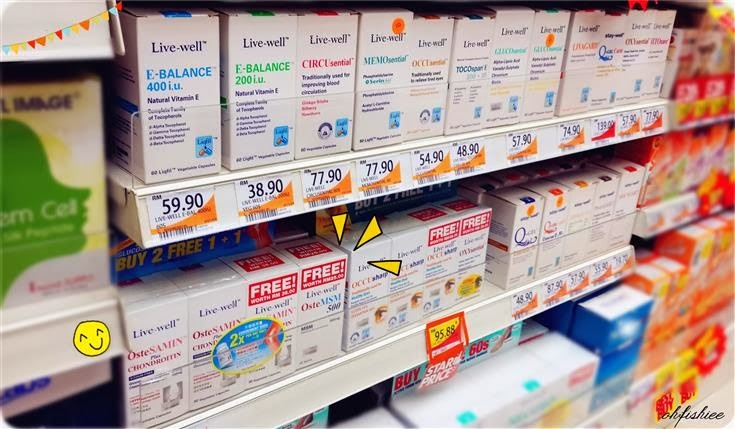 The Live-Well product was having promotion at Watsons that time-- Buy 2 Free 1 OsteSAMIN Plus Chondritin + Free 1 OsteMSM! 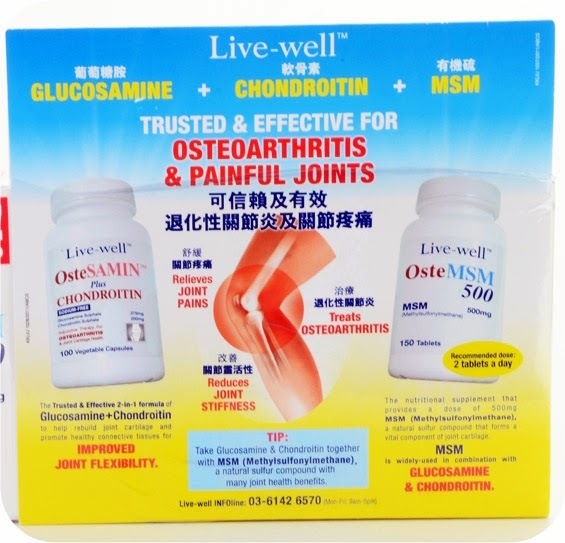 Since it was a great deal, there was no harm taking both Live-well OsteSAMIN plus Chondroitin together with Live-well OsteMSM daily to treat osteoarthritis and relieve joint pains. So I bought one pack for Dad and Mum to try! 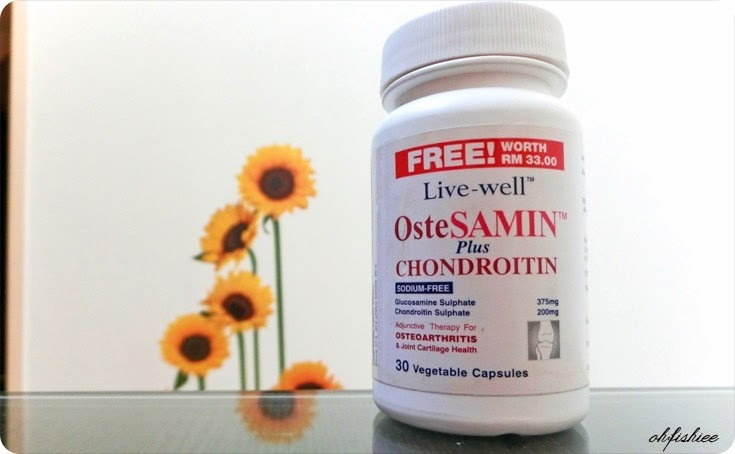 OsteSAMIN Plus Chondroitin comes in a bottle of 30 capsules which is convenient for travelling. 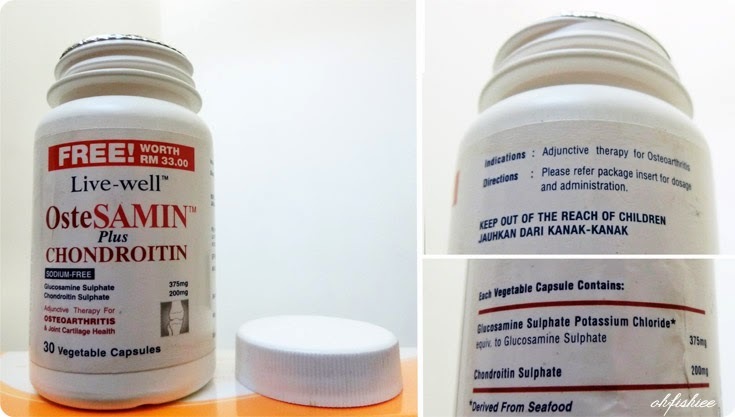 After taking it for few months, my parents find the product relieved their joint pains effectively. They're now taking maintenance dose which is 1 capsule twice daily before meal, and one bottle can last a person for 2 weeks. The product is derived from seafood, so those allergic to seafood may require doctor's advice. Thanks to Live-well, my parents have been experiencing significant improvements after 3 months consuming it. It not only relieves joint pain, stiffness and inflammation, but also enhances mobility and flexibility! 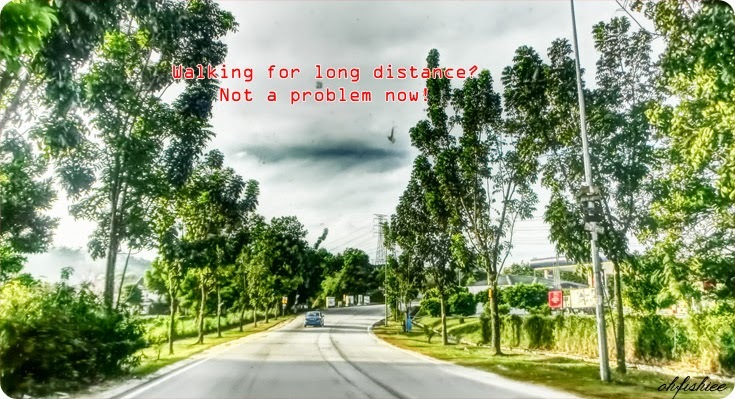 Morning jogs, gardening and weekend shopping are not an issue for Dad and Mum anymore! 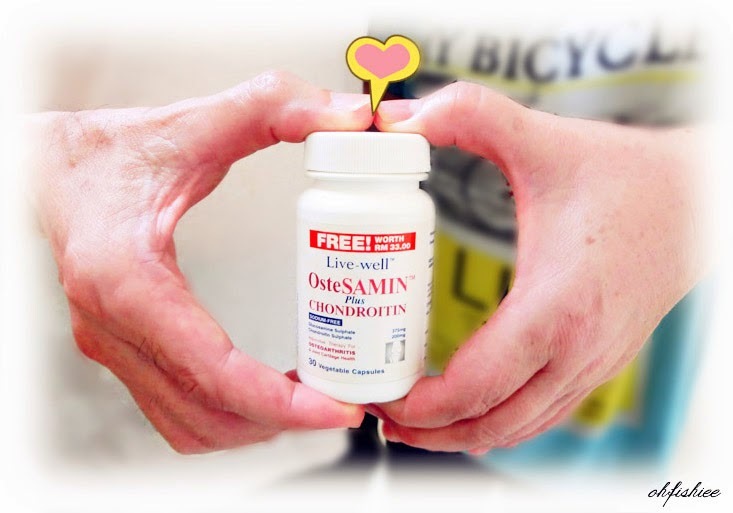 Now, my grandpa has started consuming OsteSAMIN Plus Chondroitin with OsteMSM. For moderate to severe osteoarthritis like his, the recommended dose is 2 capsules twice daily 15 minutes before meals. Although Dad and Mom may have recovered from the pain, but they do not stop taking the supplement so that it continues to lubricate joint cartilages and promote healthy joints! I hope that treating my parents with health supplements can be a little but heart-warming effort to show how much they meant to me. Don't forget to check out for the latest promotions from Live-well and grab them for your loved ones! Live-Well products are widely available in all leading pharmacies nationwide.